We carry businesses to new heights. 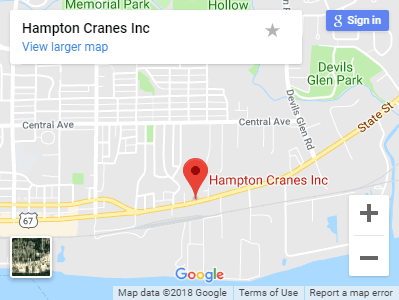 Hampton Cranes Inc. provides Bettendorf, IA, and the Quad Cities Metropolitan Area with a complete range of crane services. We are the local leader in the mobile crane service. Our fleet has many cranes to meet your demanding projects and needs. 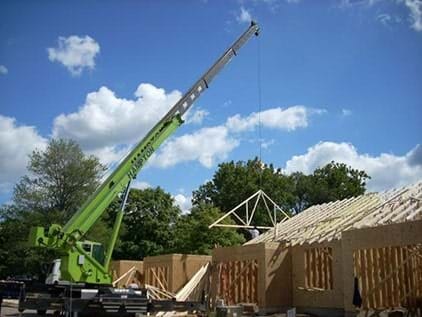 All crane rentals include an experienced, trained, and certified operator. With Hampton Cranes Inc., you get the solutions you need as well as the quality you deserve. We strive to offer only the best to our customers. Hampton Cranes Inc. has achieved success by understanding our customers' needs. We know that you will find what you are looking for with our crane equipment services. We stand behind our work and the services we offer. Whether you need a unit lifted, trusses set, or a boat picked up we're here to help. Give us a call at 563-359-3581. If you have any questions or concerns, please contact us. Copyright © 2019 Hampton Cranes Inc.